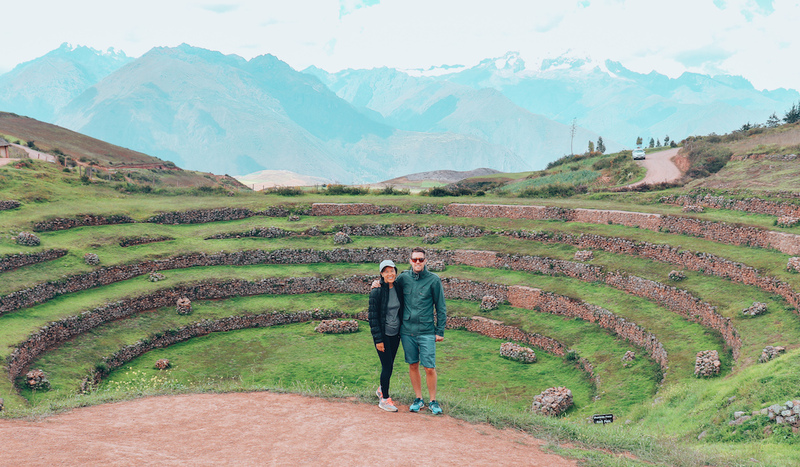 The first half of April brought us to Peru, the final country in the Central / South America portion of our round-the-world trip. We flew into Cusco, a high-elevation city situated at 3,400m above sea level. 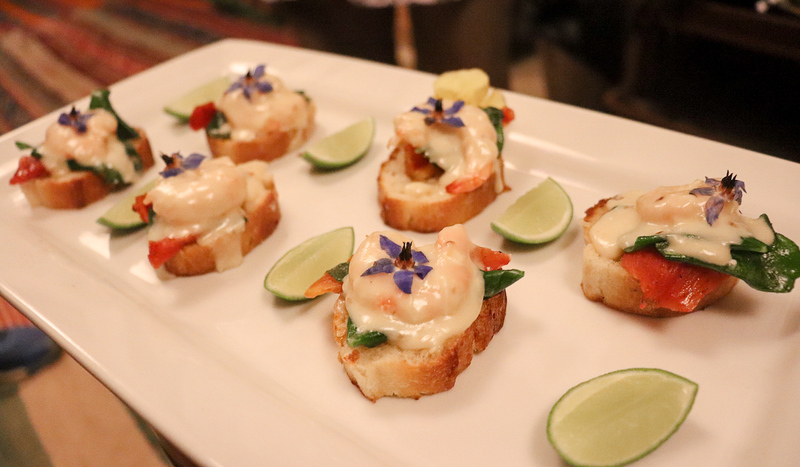 While acclimatizing to the high altitude, our introduction to Peru was through an excellent Peruvian cooking class we signed up for: the Marcelo Batata Cooking Class, which is run by a local chef. I was expecting a cooking class but was instead pleasantly surprised with a captivating history and cultural lesson, a food and drink tasting, with a little bit of cooking. 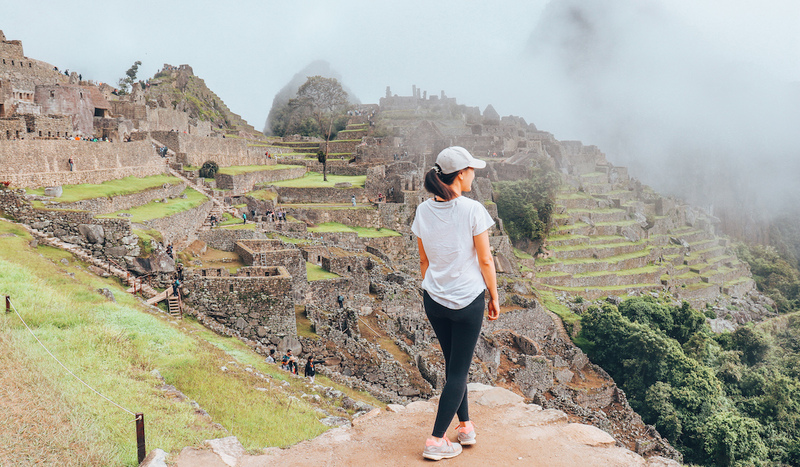 It was very interesting for us to learn that Peru is a melting post of cultures: the Incas, Spanish, African, Chinese, Japanese, and Italian, countries with completely different gastronomy styles and culinary techniques, all influencing the cuisine in a small country. Machu Picchu — Machu Picchu was our raison d’être for being in Peru. 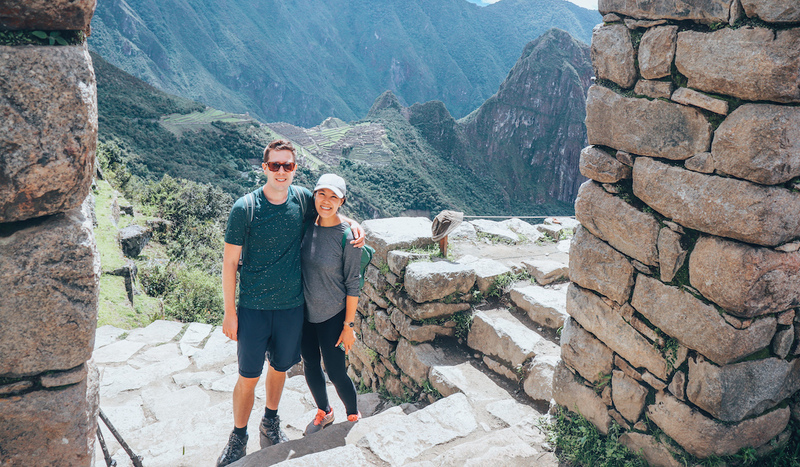 Rather than the traditional 4-day Inca Trail (which is very challenging and requires booking a year in advance), we did the “Inca Trail Express”, a 2D/1N experience that takes us partially to Machu Picchu via train to begin the hike. 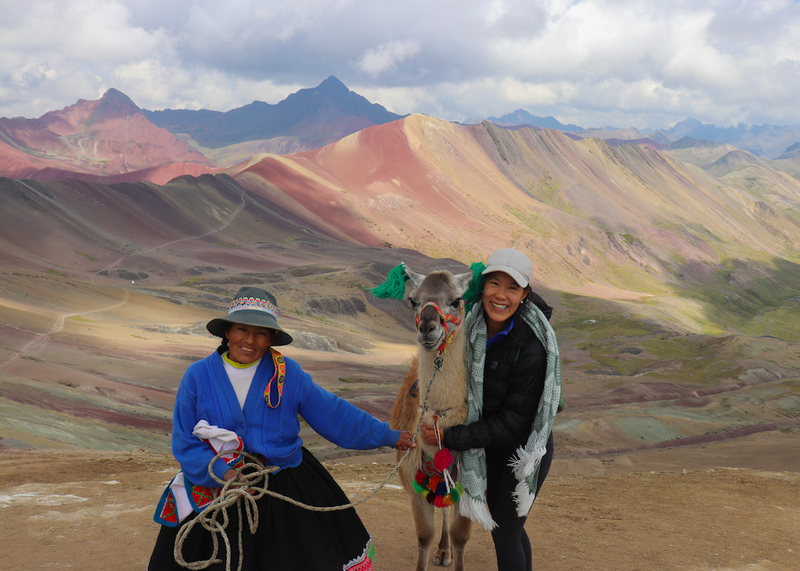 Rainbow Mountain — This is a relatively new, high-elevation hike in Peru. Rainbow Mountain was only recently revealed when the glacier on top melted, revealing its distinct “rainbow” stripes which were formed by mineral deposits accumulated over time. 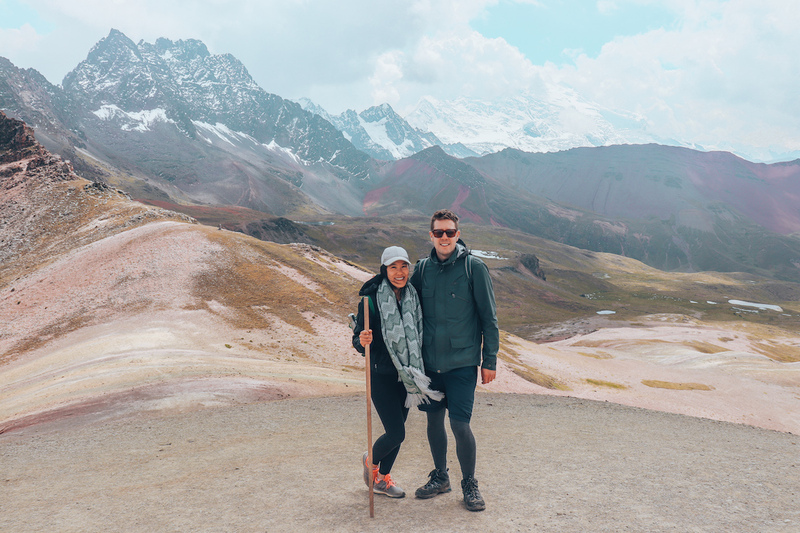 The highest peak you can climb up to is around 5,100m in elevation, meaning the 10km round-trip hike can be tough on the body as the air is thin and there’s less oxygen in the air. 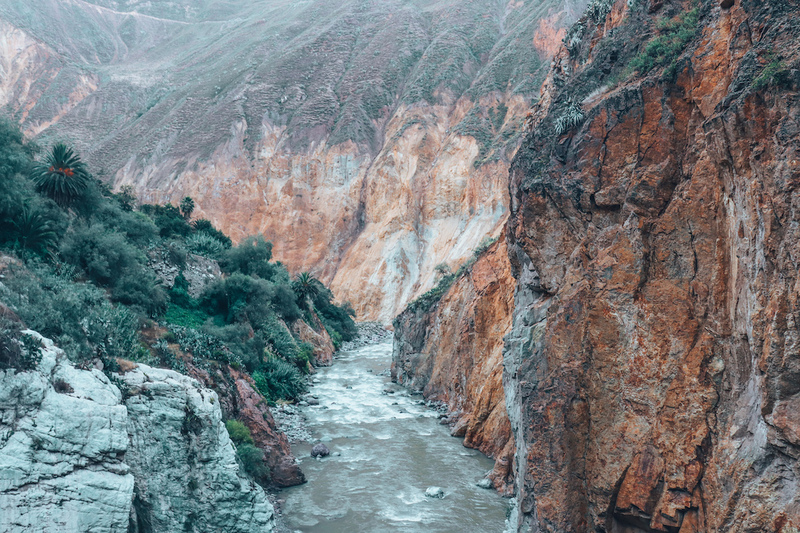 Colca Canyon — We hiked downhill into a canyon for 16km, stayed overnight in an “Oasis”, only to wake back up the next morning at 5am to go back up again. Steve likened the hike uphill as two back-to-back Grouse Grinds — I hired a mule to ride back up to the top. After spending a quick day in Lima, we boarded our plane en-route to Toronto! We were stopping in Canada for a week between South America and Europe. When we first planned our Round the World trip, we were hoping for a year of summer. We didn’t expect it to snow in Toronto. But it snowed so hard in April, which ended up being the perfect excuse to stay inside and watch TV all day — exactly what we wanted to do with our ‘rest week’ in Canada. We stayed with Steve’s Uncle Kirby and Aunt Jill in Oakville and it was amazing, amazing, amazing, to be back home for a week. 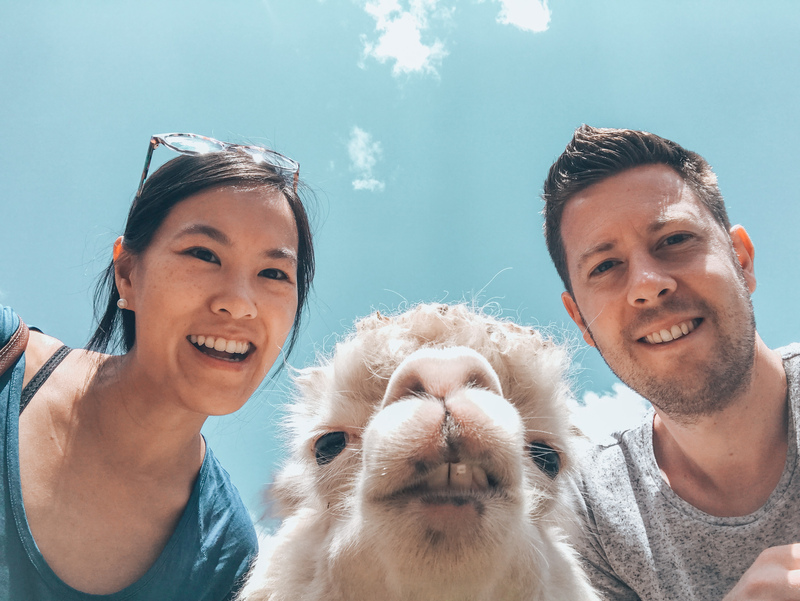 After ten weeks of travelling through Central and South America — to be back in Canada and able to speak the local language, buy familiar brands at the grocery store, have a fresh salad, make nachos in the oven, to not always have to wonder after every meal if you’re going to get food poisoning or if the raw vegetables are safe to eat…we felt SO happy and relaxed! 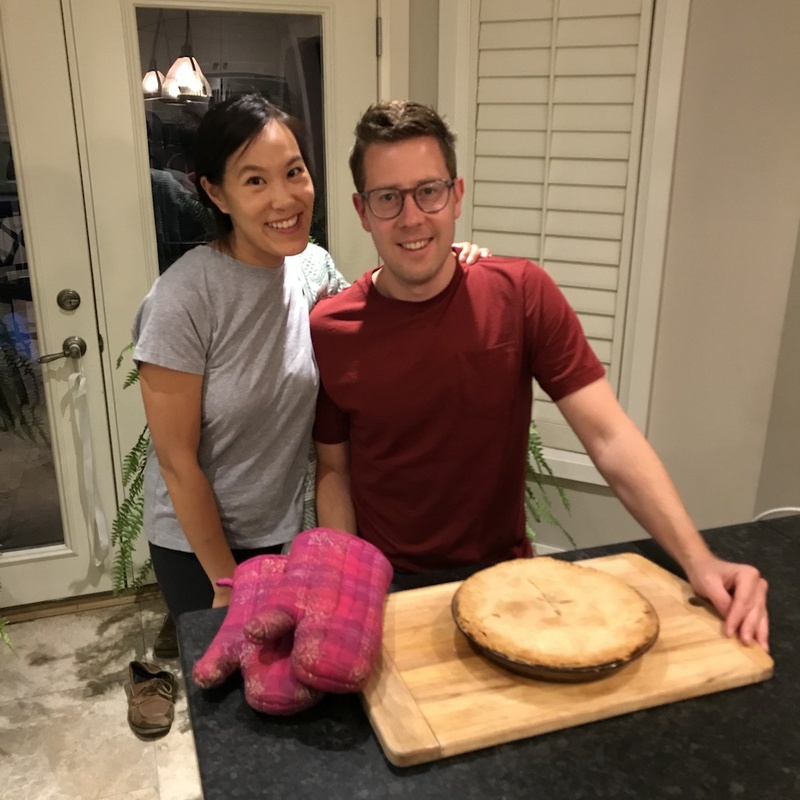 In fact, we were so happy and comfortable that Steve decided to bake his family an apple pie from scratch (probably whistling while he was rolling the dough) — only the second time he’s ever done this in our 7+ years of being together. As happy as I was to just stay inside all day, we did meet up with a few more friends and family — Steve’s cousin Carly, his other cousin Arndis, and my friend Kyle — to check out some cool local restaurants. PLANTA is a contemporary vegetarian restaurant (my favourite style of restaurant back home), Son of a Peach Pizzeria (which was featured in You Gotta Eat Here! on The Food Network), and The Simple Kitchen, a fresh and healthy cafe. After a very happy week spent in Toronto, we had to move on to the second part of our Round the World Trip: Europe, where we would be spending our next three months. After an icky start to our European vacation (a $240 fee for our baggage with TAP Portugal), we “skiplagged” our way to Lisbon. What’s skiplagging you ask? 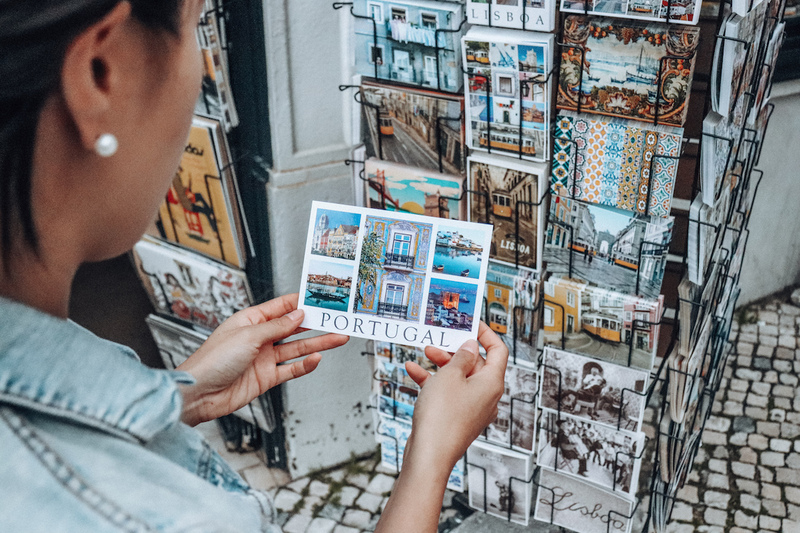 We basically booked a flight to London, with a stopover in Lisbon (permanently getting off in Lisbon) — which was cheaper than booking the same flight directly to Lisbon. 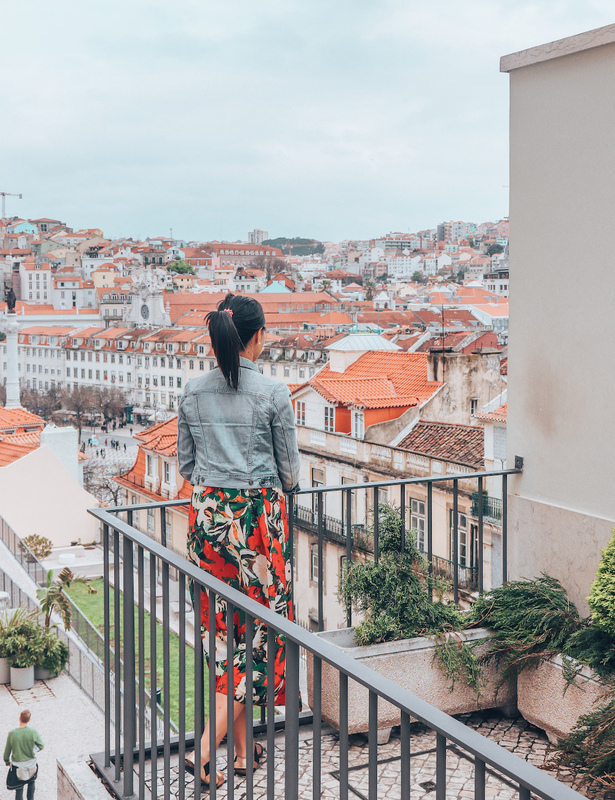 We hung out in Lisbon for a few days, ate delicious Pasteries de Nata, and even took a Portuguese cooking class. 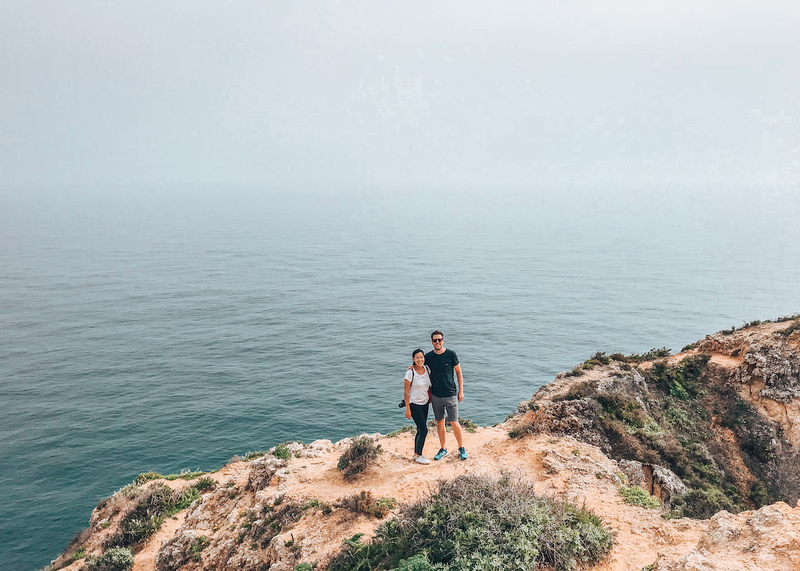 We then rented a car and spent the next few days on a Portuguese roadtrip from Lisbon to The Algarve. 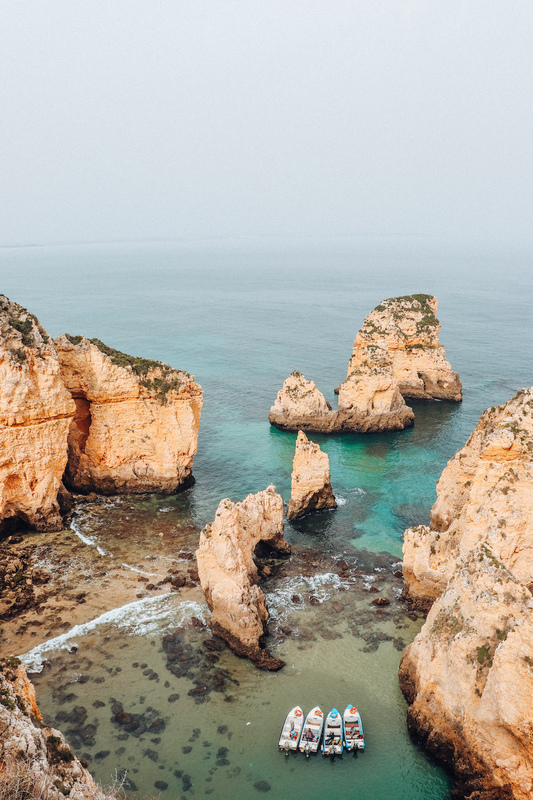 The Algarve is a region in the South of Portugal, made up of small towns and cities — like Lagos, Portomao, and Faro — all along the Atlantic Ocean. We rented a car to give ourselves more freedom and flexibility to stop in smaller towns and check out different parts of the Atlantic coastline. 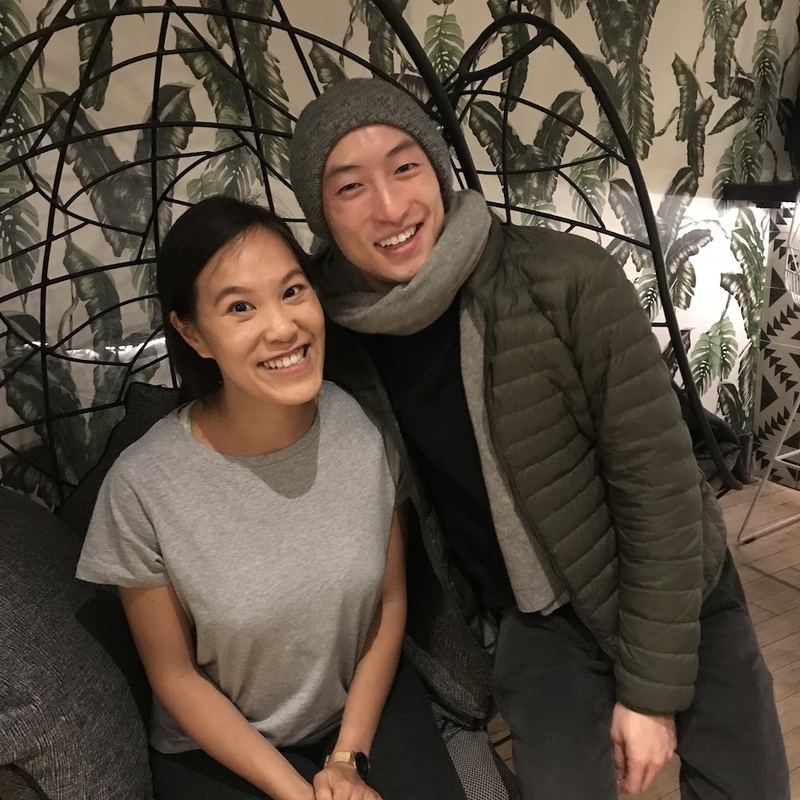 To save on costs, we booked accommodations with a kitchenette and mostly made our own meals — all part of the roadtrip experience. One afternoon, we bought farm-fresh oranges from a roadside stand which were so sweet and juicy. We left our rental car in the South of Portugal, and took a “Bla Bla Car” into Seville, Spain. Accommodations were so expensive in Spain we wondered if there was some sort of special event going on? After closely monitoring accommodation prices, someone else must have canceled their reservation and we booked somewhere for €71/night (three times more than what we’ve been paying). But we enjoyed our day in Spain, and fully indulged in tapas, wine and sangria. At the end of April, we departed from Seville to fly into Fez, Morocco. 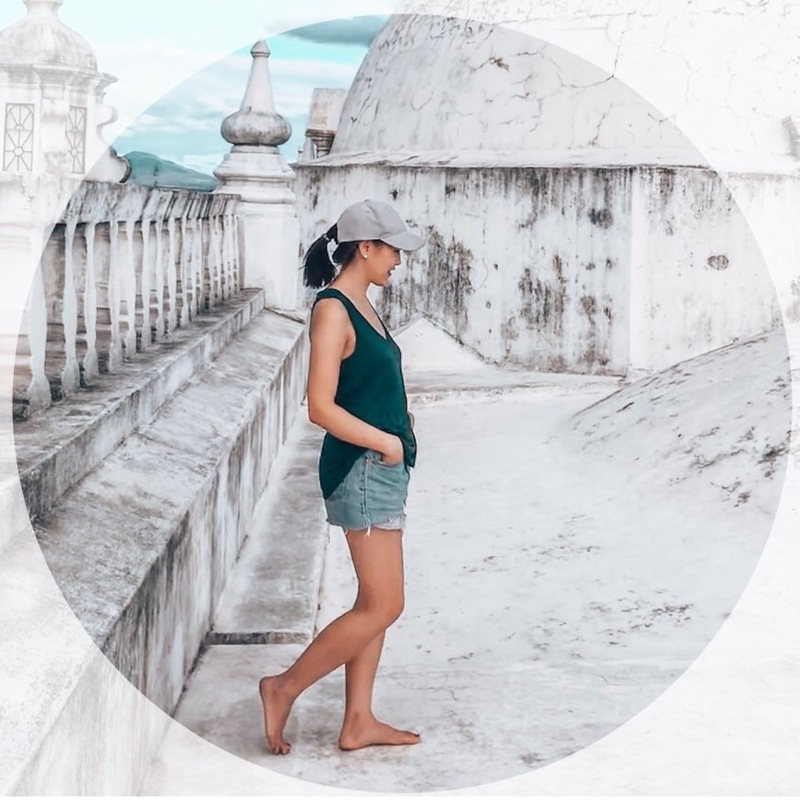 Thank you so much for keeping up with our travels reading our April reflections on Modern Mix Travel! Next destinations: Morocco, Italy, and Croatia!